Zero-hours workers are more than twice as likely to work night shifts than other workers, according to new analysis published by the TUC today. The analysis shows that on a range of key measures, zero-hours workers are having a tougher time those in secure employment. Nearly a quarter (23%) regularly work through the night, compared to 1 in 10 of the rest of the workforce. Night-working has been shown to increase long-term health impacts, such as heart disease, shortened life expectancy and risk of cancer. People on zero-hour contracts are paid around a third (£4.10) less an hour than other workers. This is despite the fact that 1 in 7 (14%) are responsible for supervising other workers. 1 in 7 zero-hour workers (16%) do not have work each week. Zero-hours workers work on average 25 hours a week, compared to the average worker, who works 36 hours a week. The TUC is calling for a ban on zero-hour contracts alongside further action from government to tackle exploitative and insecure work. 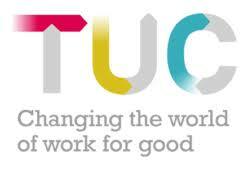 TUC polling shows that two-thirds of zero-hours workers prefer to be on permanent, secure contracts. The TUC is marking this year’s HeartUnions week from 11-17th of February, a celebration of the work done by trade unions to support working people across the country. TUC general secretary Frances O’Grady said: “The vast majority of people on zero-hour contracts want out. The only flexibility offered to them is what’s good for employers.